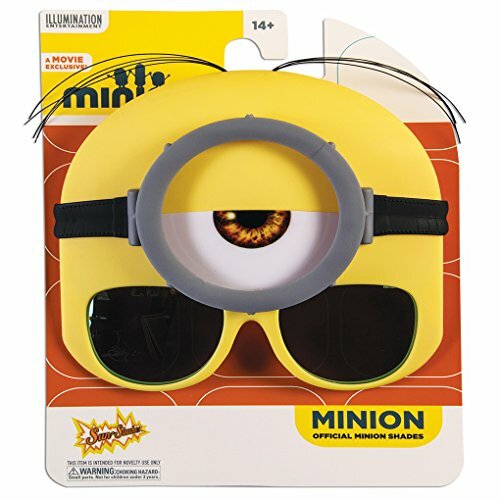 Spice up your Minions outfit with these Minions Goggles Sun-Staches! Sun-Staches provide 100% UV 400 protection and ultimate party fun. These one-size-fits-most sunglasses transform you into the star of the show; whether it’s a themed party, pop culture costume, or your favorite character. As seen on Shark Tank, these sunglasses are comfortable and perfect for adults and children of all ages! Sun-Staches can instantly transform anyone into the life of the party or the most interesting person at the supermarket. For the adults, it's the perfect way to bring out your inner kid-at-heart personality. For kids, it's a way to show off a favorite character or just have fun! Would you rather play a game of ultimate Frisbee with some boring guy without glasses or your neighbor who just happens to be wearing a leprechaun mask and having the time of their life? Our thoughts exactly. These plastic nerd eyeglasses are a wonderfully weird party treat! 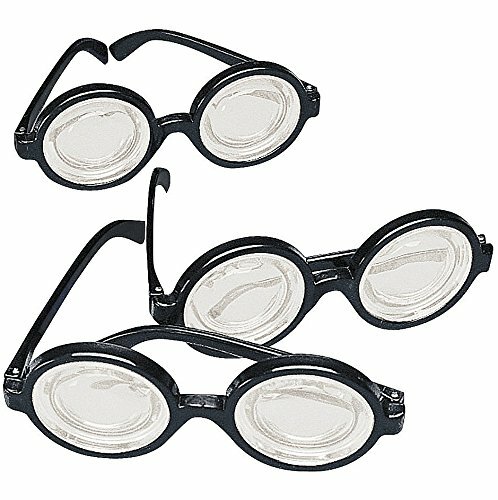 A humorous accessory for anyone who wants to look like a classic nerd, these fun nerd glasses work for a variety of pranks! 5 1/2" with 5" ear pieces. (12 Pack). 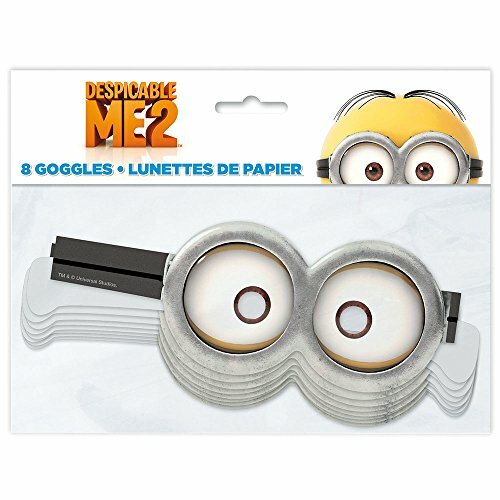 Act like a Minion but watch out for Kevin with these Minions Stuart Goggle Sun-Staches! Sun-Staches provide 100% UV 400 protection and ultimate party fun. These one-size-fits-most sunglasses transform you into the star of the show; whether it’s a themed party, pop culture costume, or your favorite character. As seen on Shark Tank, these sunglasses are comfortable and perfect for adults and children of all ages! Sun-Staches can instantly transform anyone into the life of the party or the most interesting person at the supermarket. For the adults, it's the perfect way to bring out your inner kid-at-heart personality. For kids, it's a way to show off a favorite character or just have fun! Would you rather play a game of ultimate Frisbee with some boring guy without glasses or your neighbor who just happens to be wearing a leprechaun mask and having the time of their life? Our thoughts exactly. 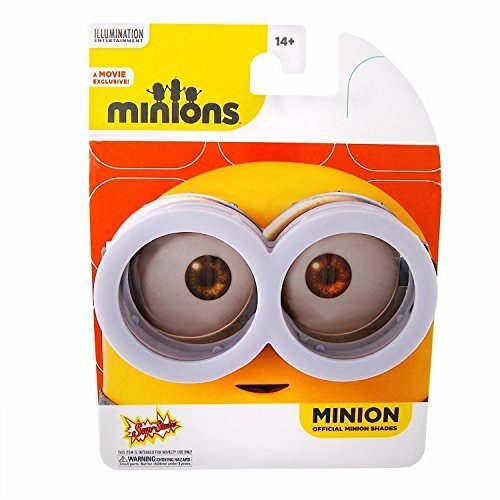 Become the most loved Minion with these Minions Kevin Yellow Sun-Staches! Sun-Staches provide 100% UV 400 protection and ultimate party fun. These one-size-fits-most sunglasses transform you into the star of the show; whether it’s a themed party, pop culture costume, or your favorite character. As seen on Shark Tank, these sunglasses are comfortable and perfect for adults and children of all ages! Sun-Staches can instantly transform anyone into the life of the party or the most interesting person at the supermarket. For the adults, it's the perfect way to bring out your inner kid-at-heart personality. For kids, it's a way to show off a favorite character or just have fun! Would you rather play a game of ultimate Frisbee with some boring guy without glasses or your neighbor who just happens to be wearing a leprechaun mask and having the time of their life? Our thoughts exactly. Create a party atmosphere in an instant. Kids and adults will enjoy the ease of changing from a "normal" looking person into a highly recognized character from the Minions movie. This adorable mask is sure to bring a smile to everyone's face. 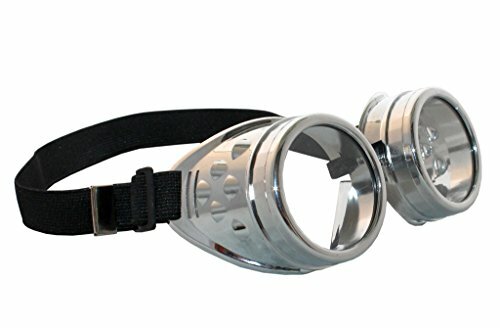 Be sure to order other masks to allow everyone to join in the fun. 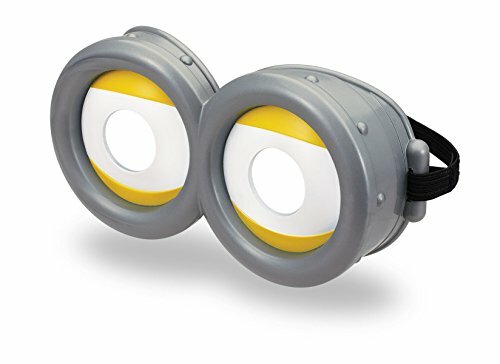 Minion Goggles. Time to join the Minions and put on your goggles. 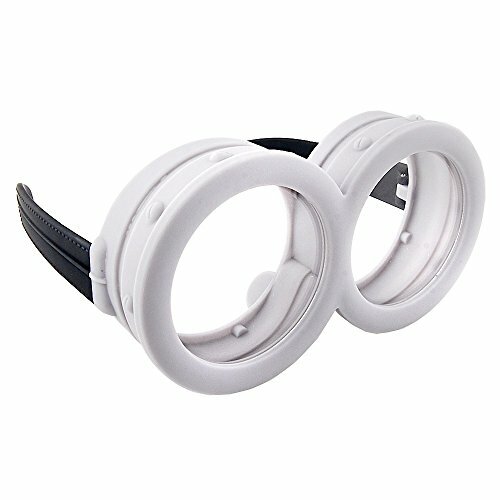 Adjustable elastic strap for these easy fit, one size fits all goggles. 60MM DESPICABLE ME MINION W/SANTA HAT GLASS BALL Ornament 2/ASSTD. 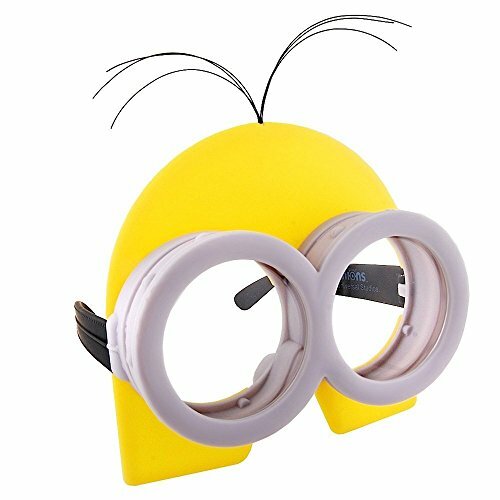 Minion Best Mini Movies from Universal Studios by http://www.esclusivia.com The new movie of Minions 3D goggles test made a the Universal Studios of Hollywood! Next time you will ee the REAL GRU HOUSE! Subscribe hereto be updated: http://goo.gl/0KFVxL When u go to enjoy the Minion Mayhem you can also see some fantastic new movies of minions! Really cool! I the next episde we will go inside the real GRU HOME (GRU INDUSTRIES).